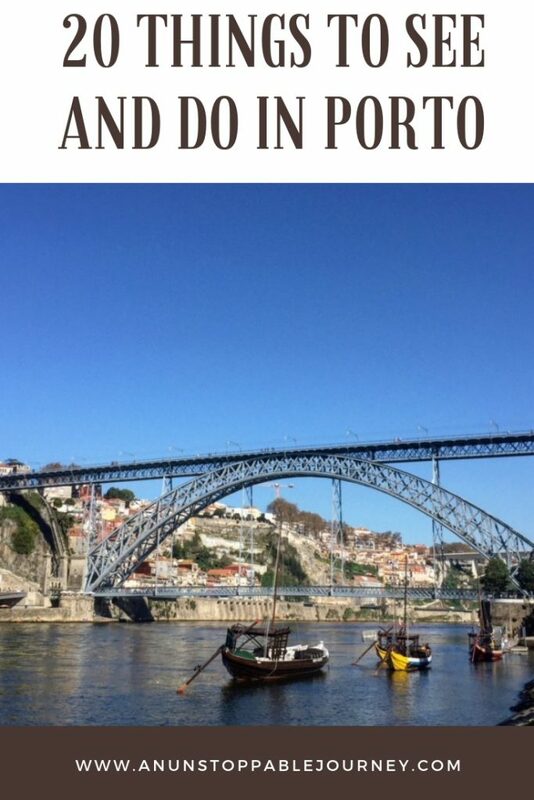 Delightful, demure, and sitting pretty in the north of Portugal on the Douro River is Porto. 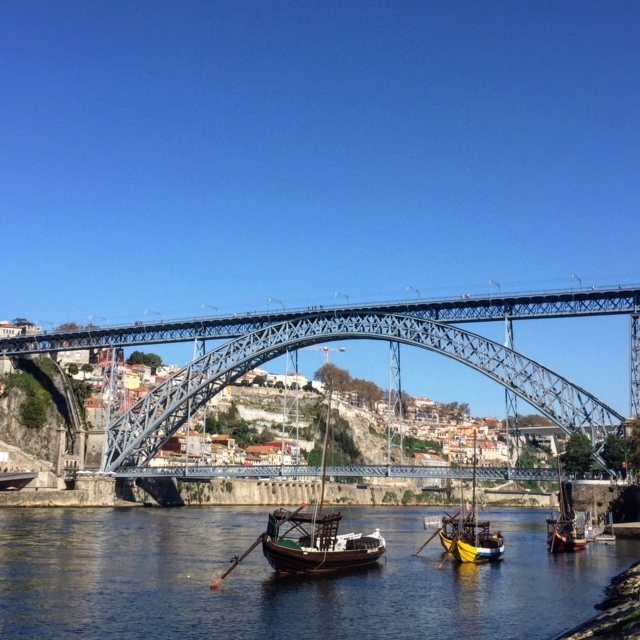 Often called the City of Bridges because of the 6 bridges that span the river, Porto has a rich cultural heritage, with distinctive architecture, a UNESCO World Heritage-listed historical center, and Port wine, which of course is named after the city. 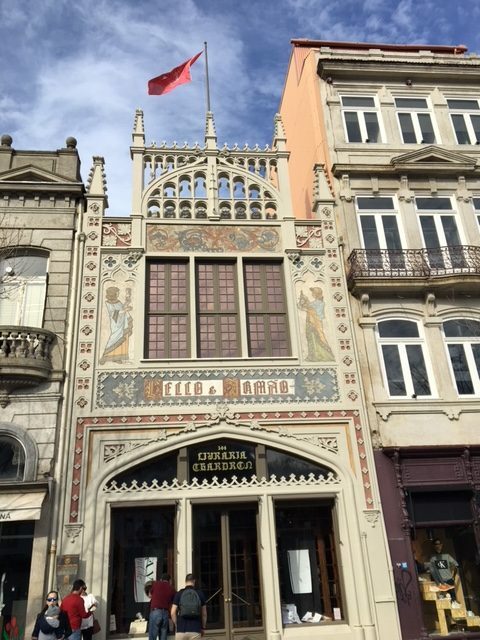 Here’s a look at 20 things to see and do in Portugal’s second largest city. 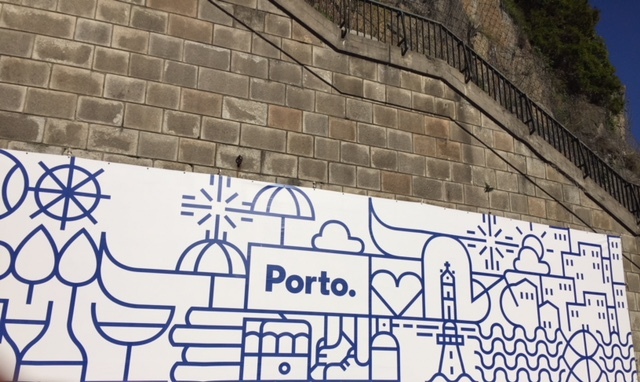 Like a lifeline, the Douro River flows through Porto and for centuries was the vital artery for the Port wine trade to transport wines down from the vineyards to the Port shippers. 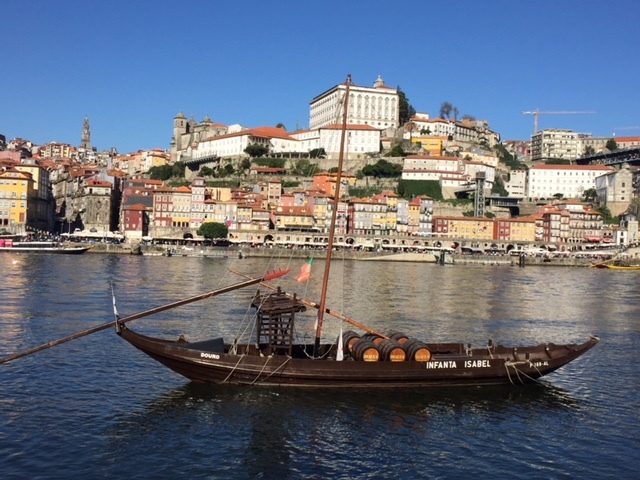 A cruise down this historic river in a rabelo barco – the traditional wooden cargo boat used to transport port along the river – is a must when in Porto. 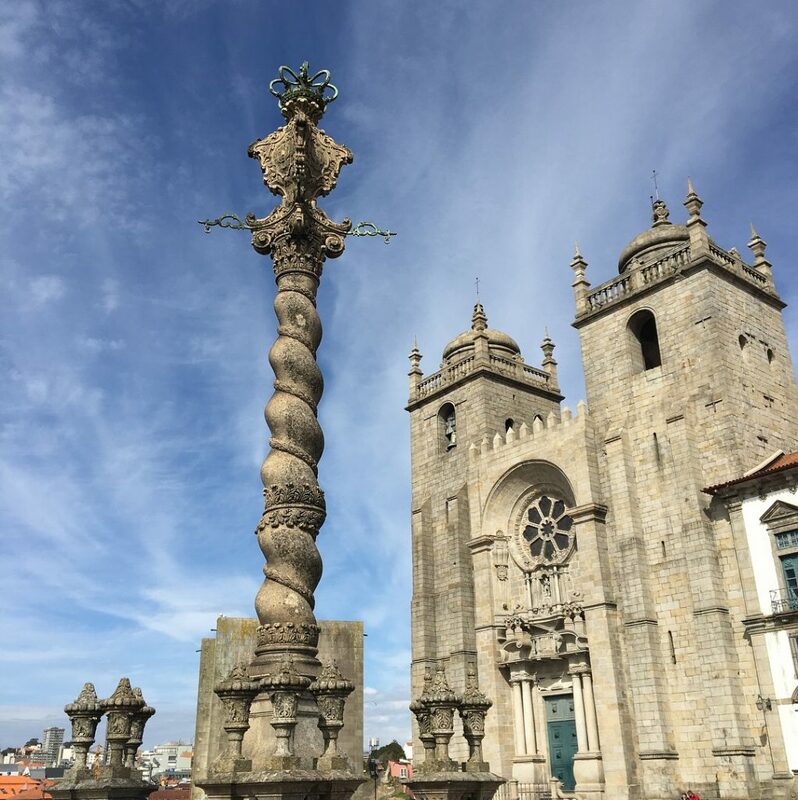 Perched high on a hill, Sé do Porto (Porto Cathedral), often considered to be one of the most impeccable embodiments of the Romanesque style (despite its a mix of styles and influences including Baroque and Gothic), is one of Porto’s oldest and most important monuments. Entrance to the cathedral is free, though there is a small fee to enter the cloisters. 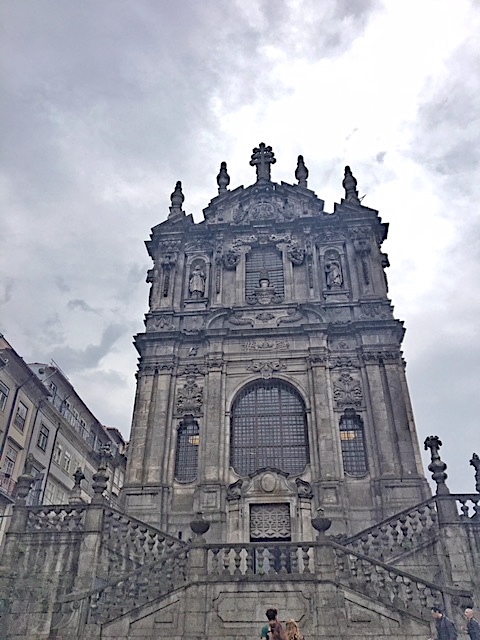 The cathedral’s square offers breathtaking views over the UNESCO World Heritage old town of Porto and the Douro River. Cais da Ribeira is a historical district along Porto’s riverbank. Go there: meander the medieval streets and alleyways, find a terrace and have a drink, and watch the rabelos moored on the Douro bob up and down on the water. 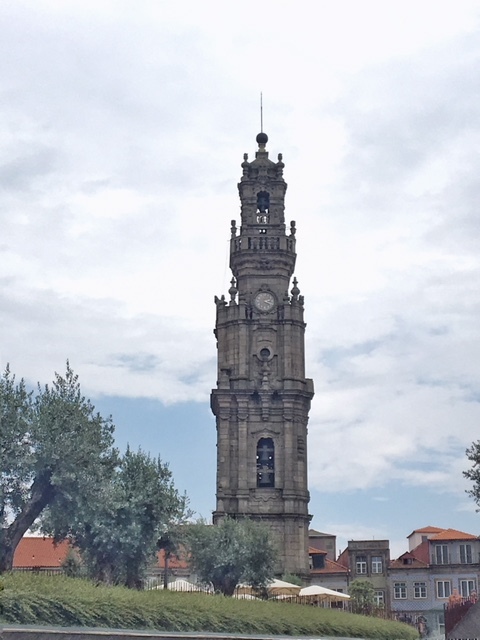 Igreja dos Clérigos & Torre (Clérigos Church and Tower) is one of many beautiful churches in Porto. For awesome views of the city, climb the 240 steps of Torre dos Clérigos, the church’s bell tower and one of the symbols of Porto. Don’t be fooled. 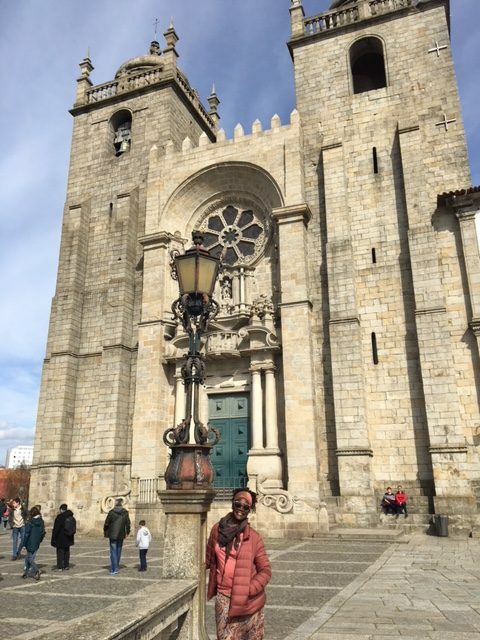 While at first glance, you may think you are looking at one big church, Igreja do Carmo and Igreja do Carmelitas (Carmo and Carmelitas churches) are in fact, they two churches separated by a very narrow house built to make contact between the nuns and monks impossible. 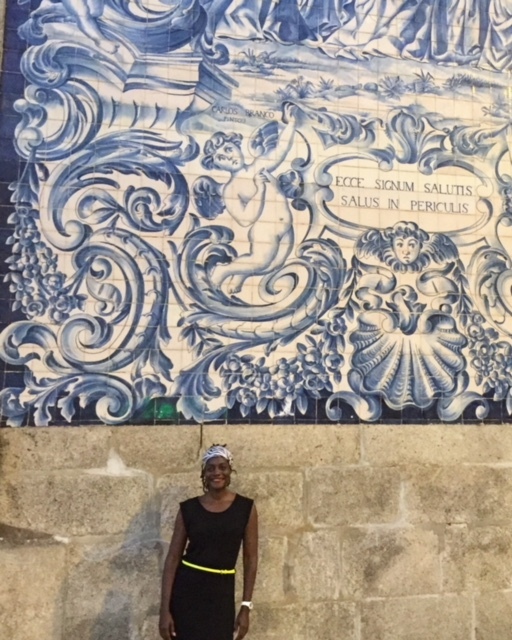 After your “aha” moment of realizing you are actually looking at two churches, go the side of Igreja do Carmo to see the magnificent blue “azulejos” before going inside to see the extravagant rococo ornamentation of the altars. Praça da Liberdade (Liberty Square) is the heart of Porto and serves as a popular gathering point for important events in the city. 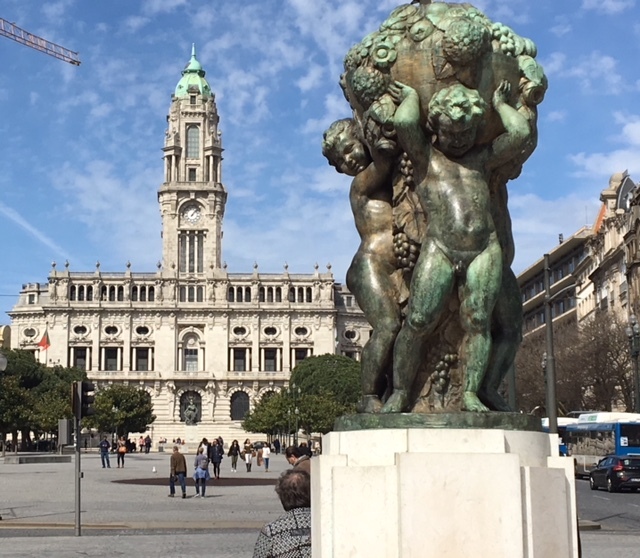 Praça da Liberdade is the scene for everything from New Year’s Eve celebrations to protests and demonstrations to sports and cultural events. 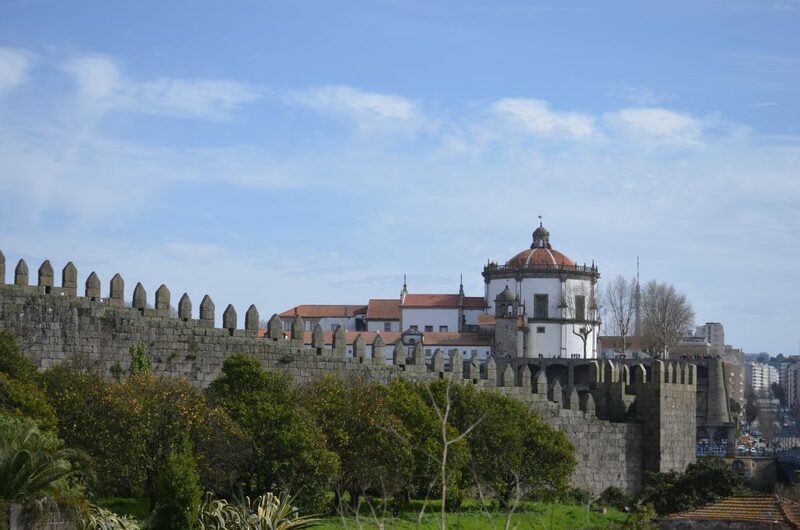 Take a walk along what remains of the 14th-century medieval wall, Muralha Fernandina. Much of the wall, which was originally 30 feet high and just over a mile and a half long, was destroyed in the late 18th century, however, a good portion remains and is visible along the Douro. Not only is Livraria Lello one of the world’s oldest and most beautiful bookstores, it is also the inspiration for Harry Potter’s library in Hogwarts Castle. You must purchase a ticket to visit the bookstore, which can be purchased at a kiosk adjacent to the shop. There is usually a long line to get in, so I suggest you get there as early as possible to beat the crowds. You can’t go to Porto without visiting the caves (cellars) to learn about and taste Port, the Portuguese fortified wine for which the city is named. 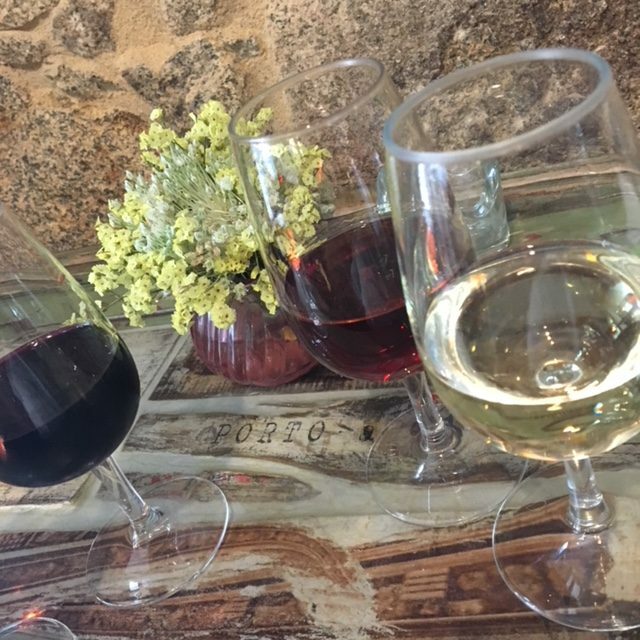 Well actually, you have to go to Gaia, which is just across the Douro River and where the historic port wine houses are located. Fado is the passionate, melodic music of Portugal. The traditional folk music, which is believed to have originated in the 1820’s, is usually performed in pubs, cafes, and restaurants. 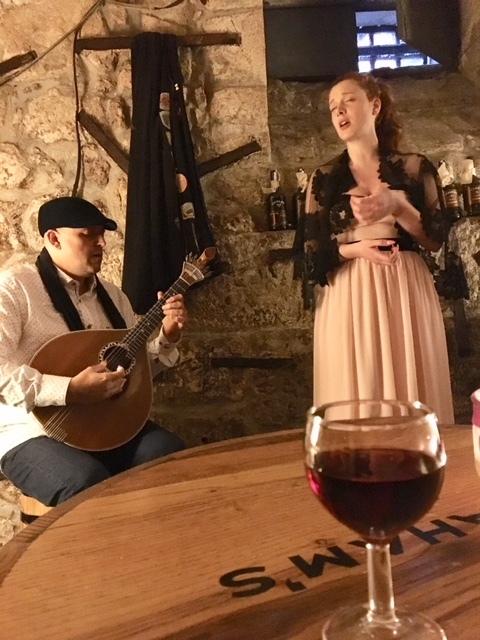 Many fado performances are often combined with port wine tastings. My suggestion is to find one of them and enhance your Porto experience. The landmark Palácio da Bolsa do Porto, or what I like to refer to as the palace that port built, is a must-see. The 19th-century Neoclassical style building is not a palace, as in a residence for royalty, but a stock exchange building. Palácio da Bolsa do Porto is opened to the public, however, visitors can only enter as part of a guided tour, which lasts about 30 minutes. It’s worth the entry cost to get a gander of the impressive marble and granite staircase, the Golden Room and the opulent Arab Room decorated in the exotic Moorish Revival style, which is used as a reception hall for celebrities and heads of state visiting Porto. 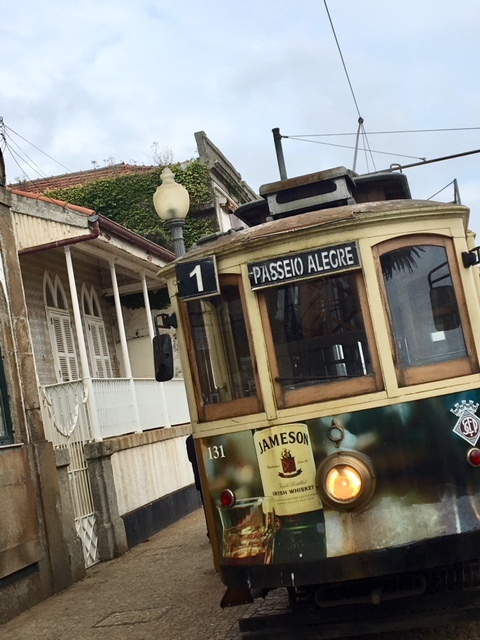 Hop on tram Linha 1 to get another perspective of the Douro. 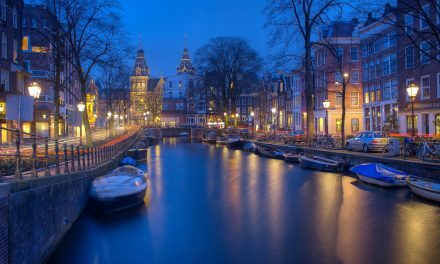 The famous route offers picturesque views and costs €3 per ride (note that a ride is one direction). There’s always a line and the trams, which run approximately every 15-20 minutes are always packed, but it’s a fun little ride and worth doing, at least in one direction. The popular Portuguese football (soccer) team FC Porto has a museum dedicated its history. I’m not a football fan, but I still found the FC Porto Museum to be very engaging, and enormous! If time allows, combine a visit to the museum with the stadium tour to get the full effect. The stunning stone façade of the São Bento train station is only matched by the incredible interior. 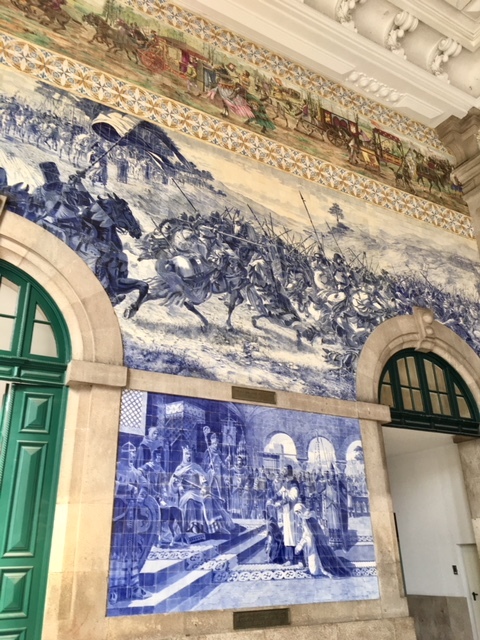 More than 20,000 azulejo tiles were used to depict Battle of Arcos de Valdevez, Conquest of Ceuta and scenes of various modes of transportation over the centuries. 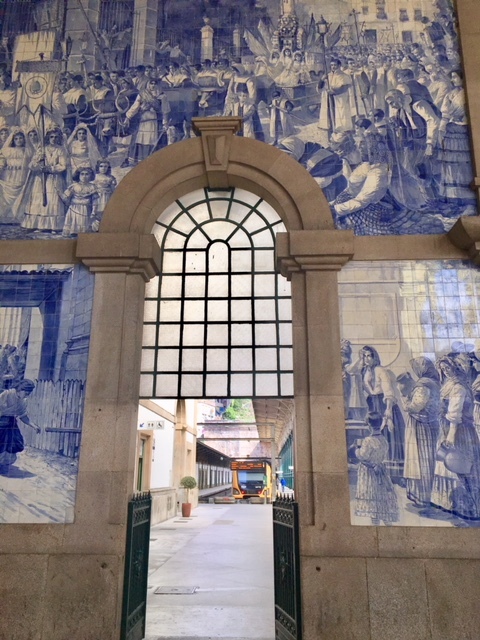 Even if you don’t have to take a train, do yourself a favor and go inside to see this amazing azulejo mural. As mentioned earlier, Porto is called the City of Bridges because of the 6 bridges that span the Douro. However, it’s the two bridges named for the king and queen of Portugal that are the most well known: the iconic Dom Luís I Bridge, which at the time it opened in 1886, held the record for the longest iron arch in the world, and the Maria Pia Bridge, which was built by Gustave Eiffel. Casa da Música, designed by Dutch architect Rem Koolhaas, is a wonderful example of contemporary architecture. 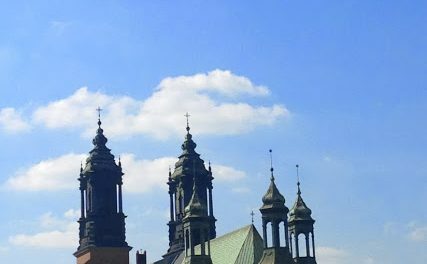 To get the full effects of the superb acoustics, I recommend attending a concert if possible or at least taking a guided tour. 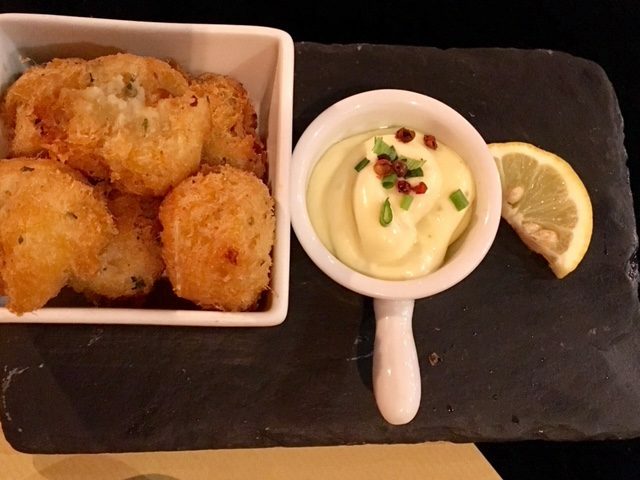 Pastéis de Bacalhau or salted cod fritters are traditional Portuguese cuisine. Cod is a signature ingredient in Portuguese gastronomy. The deep fried fritter can be eaten hot or cold, and served as either an appetizer or, accompanied with rice and salad, as a meal. 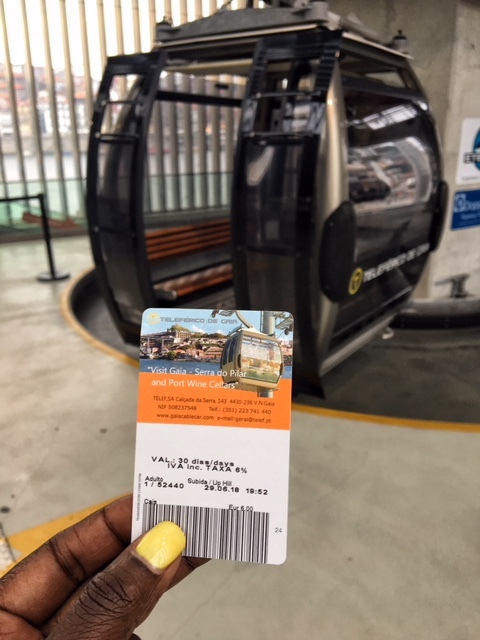 The Teleférico de Gaia is less public transportation than a tourist attraction, but a great way to see the port houses in Gaia and the Douro River en route to “Miradouro da Serra do Pilar” where a splendid panorama view awaits you. 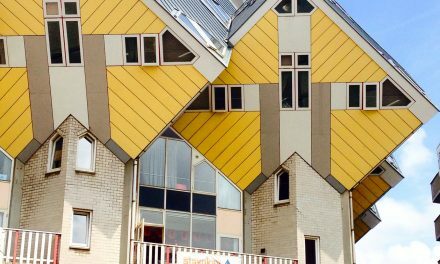 My only complaint is the cost for such a short ride: a one-way ticket is €6. It does come with a coupon for a free sample of port, so maybe it evens out in the end. Palácio de Cristal is an interesting structure that houses expositions and sports activities, however, the real draw is the garden. The green space has a rose garden, a variety of trees, peacocks, and wonderful views of Porto and Gaia. 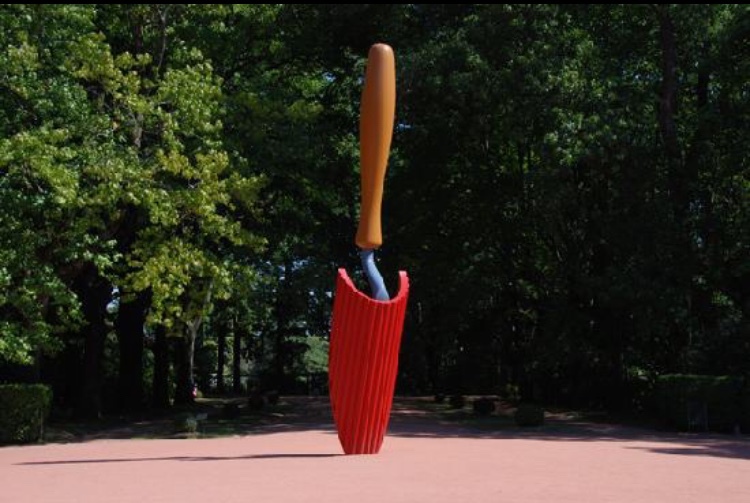 Serralves Museum and Gardens is a contemporary art museum with a striking modern building surrounded by a garden, lakes, and ponds. Wander the gardens where you will also find exhibits and works of art. Porto is home to Francisco Sa Carneiro Airport, an international airport, which is the second busiest in Portugal after Lisbon and welcomes a number of international carriers. Porto also has several railway stations, including its main stations, Campahna, and São Bento.